Pubcon Vegas is coming - will you be there? Pubcon. It’s the largest SEO conference there is. 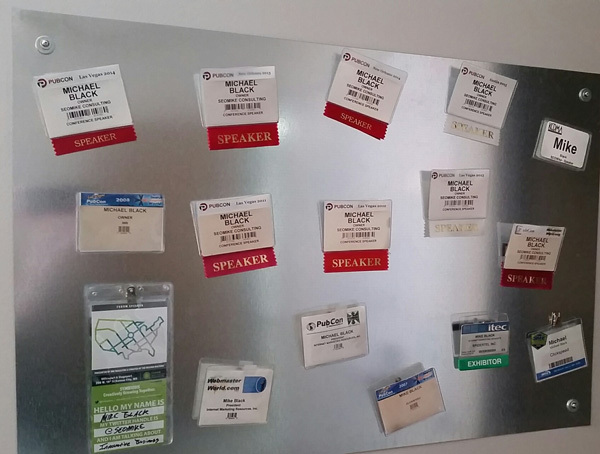 I love Pubcon and have been attending since 2005, and speaking at the conference since 2011. Pubcon always has an extremely strong session lineup with multiple tracks related to running a business online. (Check out this year’s session grid) Brett and his team get so many speaker applications for every conference that it takes them months to sift through them and select speakers. Pubcon had about 300 speaking slots available and 478 unique proposals. That’s amazing! I’m so honored to have been chosen for not just one, but two sessions! My first session is one that I’ve been giving at Pubcon since the beginning. Every year attendance grows. Bill Hartzer is joining me on this panel to discuss SEO Fundamentals. I love speaking on this topic because we get so many clients from other “SEO” companies that have completely ignored the basics. It’s great for us because when we sort out those problems the clients pop right up where they deserve to be. It’s great validation that the basics still work – every time. If your going to attend Pubcon be sure you attend our session. The topic is so broad that I can’t possibly cover it all in one session so I try to change it up every year with new information and examples. The second session I’m a part of is an organic site review panel. I’ve moderated these panels before but never been behind the table. I’m honestly a bit nervous about it because it happens so fast and it’s hard to get to all the problems in just a few minutes. I’m not too nervous though because I can pick apart any website in just a couple minutes. I do it all the time on the phone with prospective clients. The panel I’m on has some real heavy hitters in the industry including Bruce Clay (often credited with coining the term “SEO”), Christine Churchill, and Scott Polk. 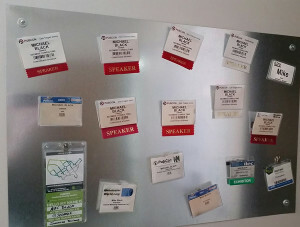 My collection of badges is pretty much all Pubcon!